Watch Newquay boy Harry Timson get mixed up in all that is French in his brand new edit. Featuring nudist colonies, throaty drainers and speedo clad airs. 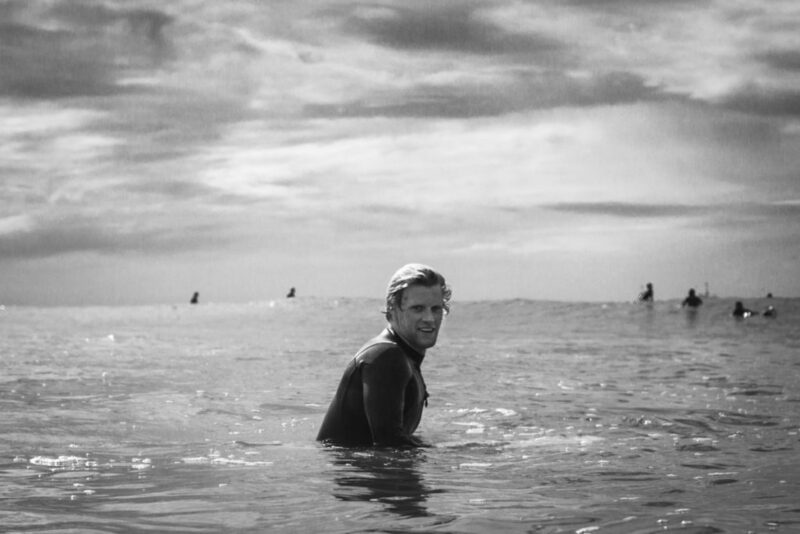 Harry Timson just a dropped a brand new clip from a summer spent swanning about in France. How many seasons have you done in France now? Does it feel like your second home or do you still feel like a Newquay boy out there on holiday? I’ve being spending my summers in France for as long as I can remember. I think my first one was when I was around 11 or 12! So yeah after all these years it does feel more like home than the UK, I love it down there. The waves, people, food you name it! When I’m there it definitely doesn’t feel like a holiday, none of my trips do unless I’m going back to Newquay to see all of my family for a few days. Wherever I go I always have a goal in mind and try to do whatever I can to get that done. Unlike the majority of Euro pros, when you’re out in France your focus isn’t at all on comps, what sort of goals do you set yourself at the begining of each season out there? I guess I fall more into the ‘free surfing’ category when it comes to that. I would say my goals are always to try and get the sickest shots I can and try to make each place look different in terms of angles and airs. Also to better my surfing every session and represent Volcom as well and professionally as I can. When you’re surfing with huge logos everywhere you know everyone will be looking at you representing the brand. The main goal with shooting photos is to get covers and with the clips try to blow up the internet and show everyone how we kick it over here in Europe. What’s it like living in a house with the rest of the Volcom team just over the dune from one of the best beaches in Europe? The French beach breaks are known by every surfer on the globe, and you can throw a stone from the house and it will land in the shore break, so it’s pretty damn good. The whole Volcom Europe team seems super close, how much has that tight knit environment helped you develop your surfing and your career? Yeah we don’t have a very big team, you won’t see every man and his dog with Volcom stickers on their boards, so we are all close and good friends which works well. We all have similar goals and get on well together so that’s what makes us so close, buzzing off each others energy and always trying to out do each other. How do you boys spend your time when you’re not surfing? When there’s waves we are surfing all day everyday so if there’s a flat day there’s always a lot to do, whether its signings or Volcom events or sometimes we just take it easy. I like to skate too so that’s always fun. France is pretty consistent though so we can can surf pretty much everyday. Normally we are playing around in the water on whatever crafts we find in the back shed! But we are also forever on social media promoting ourselves and that’s a job too. Does it get pretty wild in the house? I wouldn’t say it gets wild, Volcom throw some pretty fun parties but it’s not like the stereotypical huge ragers that everyone thinks. I mean everybody likes a night out and I guess we know how to do it right! Tell us about your plans for the rest of the year? I’m in Hawaii right now been getting some super fun waves waiting for the winter swells to kick in and wake up pipeline, then I’m going to do a trip to Aus for a few weeks then costa rica (if anybody wants to come surf with me check it out on Ticket To Ride) and after that I think I will need a little California and Indo hit. Then it will be France again for the summer! Your girlfriend Honolua Blomfield just won the world Longboarding world title! That’s exciting. And your brother is a super talented logger, reckon you’re going to be trading in the Hazzatron (Harry’s signature shortboard model) for 9+ soon? Yeah she has won multiple world titles throughout her junior career and now the women’s it doesn’t get better than that! She worked really hard and I’m super stoked for her she deserves it, I think for me I will stick to the shortboarding for now as there’s no way I want her to show me up anymore than she does. 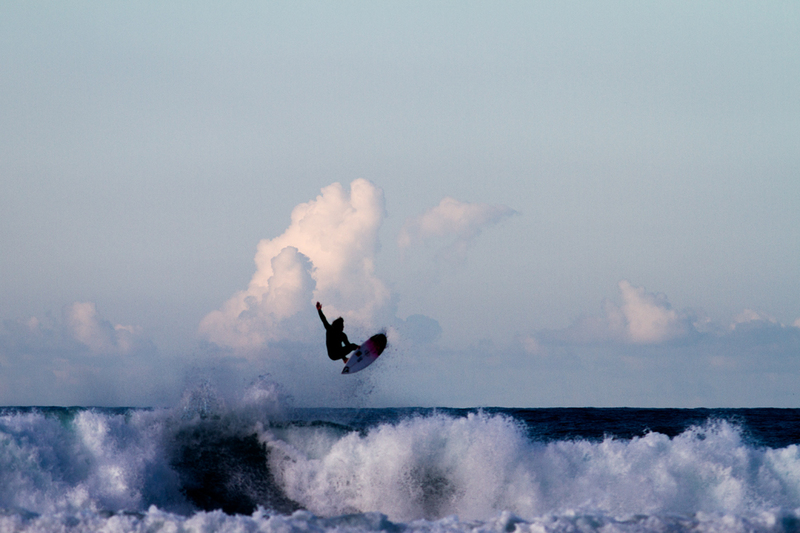 And finally what advice would you give to up and coming UK groms looking to make a career out of surfing? I would say just surf and do what makes you happy, don’t worry about the contests at home, nobody outside the UK has ever heard of them if you are going down the competitive route get to Europe and do the Pro Juniors then onto the QS. Or if you like the free surfing way, ask your parents for a camera for Christmas and make them sit on the beach. Everybody started somewhere.